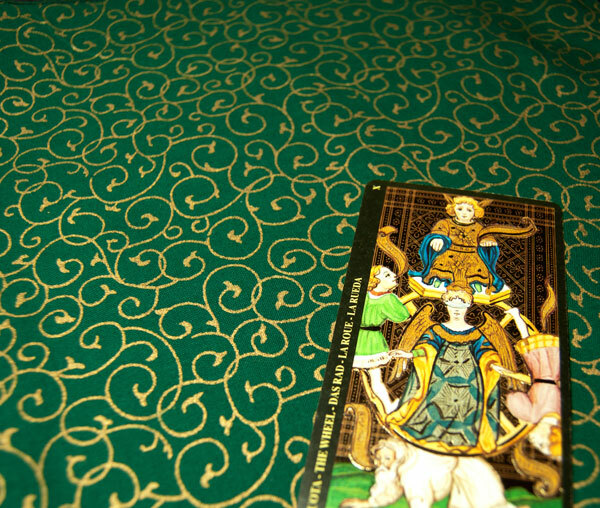 Vines of metallic gold sprawl elegantly over a field of emerald green on this tarot spreadcloth. Green and gold are common symbols for fertility and prosperity, making this cloth ideal as a representation of the Queen of Coins. It's especially perfect for readings about financial matters or for use in prosperity rituals and money-drawing spells. 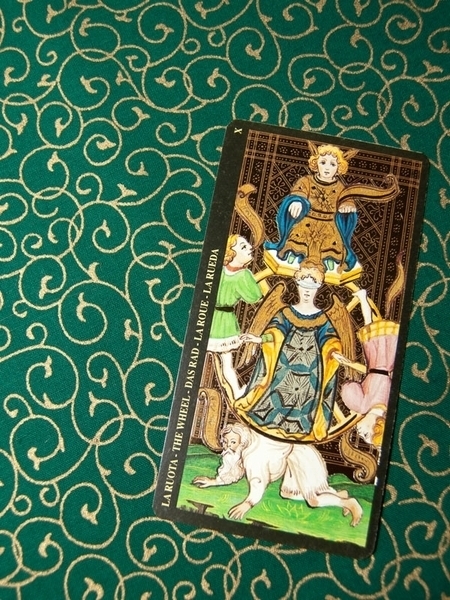 This tarot reading cloth looks great with many decks, but our favorites with it are the Gilded Tarot, the Arthurian Tarot (below left), and the Visconti-Sforza Tarot (pictured with cloth and below right). Finished with a pine green decorative thread edging. Size: Measures approximately 21" by 21" (53.3 cm2). 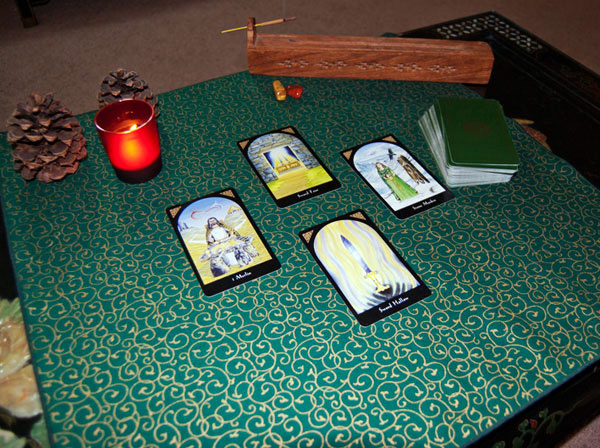 Easily fits a Celtic Cross spread with most standard sized tarot cards (3" x 5" or less).